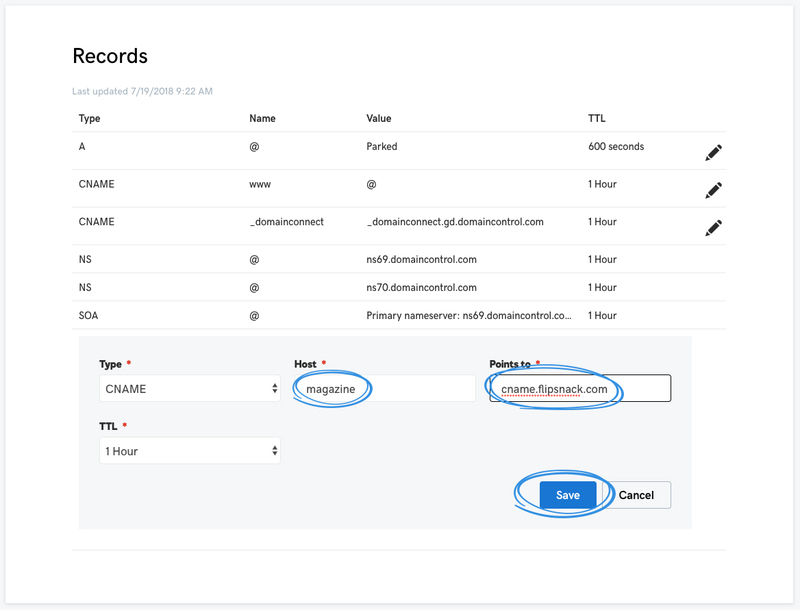 Step-by-step instructions on how to set up a CNAME record with GoDaddy. 2. 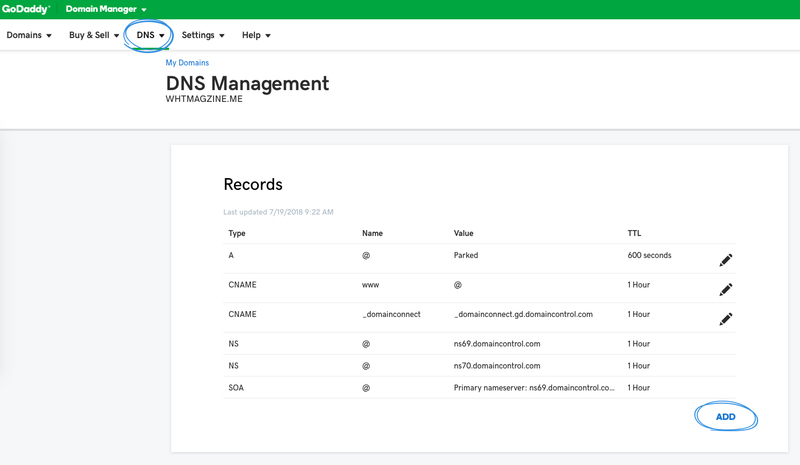 From the DNS tab, select Manage Zones. 3. Search for your Domain Name (in this case, whtmagzine.me). 5. Set the Type to CNAME, add your preferred Host (in this case, magazine) and Point it to cname.flipsnack.com. Once you have the correct settings, click Save. 6. 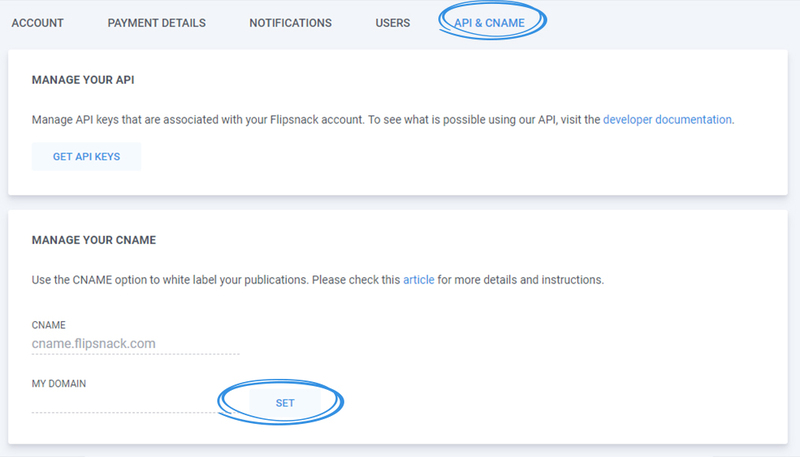 Log into Flipsnack, and from the Account Options, select API & CNAME and click Set from next to My Domain. 7. 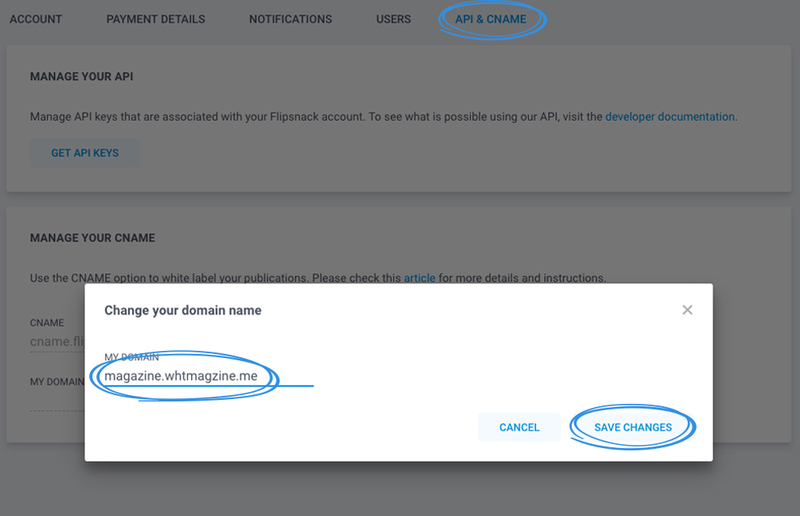 Add the domain you have just set on GoDaddy (in this case, magazine.whtmagzine.me) and click Save changes and you are done. Important: in order to have access to the CNAME feature, you must have an Enterprise membership (previously known as Elite).